Simon Wiesenthal Center and World Jewish Congress denounce Reykjavik's vote to boycott Israeli products. 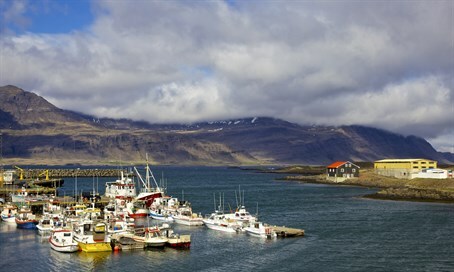 Two prominent American Jewish groups on Friday denounced Iceland's capital city council for voting to boycott Israeli products, reported AFP. Reykjavik's council approved a motion Tuesday to halt the city's purchase of such products, becoming the latest European city to join the Boycott, Divestment and Sanctions (BDS) campaign against Israel. The Los Angeles-based Simon Wiesenthal Center, a human rights group, issued a travel advisory to warn Jews of Reykjavik's "racist vote" which it said could "create an environment hostile to Israelis and other Jews." Meanwhile, the head of the World Jewish Congress (WJC), Ronald Lauder, urged the government of Iceland to “strongly denounce” Reykjavik’s decision. “The Boycott, Divestment and Sanctions movement only strengthens extremists on both sides. It feeds into the worst stereotypes Israelis and Palestinians have of each other, and prevents any political or social dialogue from taking place. Instead of boycott calls, Iceland should initiate or support efforts aimed at fostering dialogue and cooperation between Israelis and Palestinians," the WJC president declared. Iceland's Foreign Ministry told Channel 2 News on Thursday that the country does not give Reykjavik’s decision any credence, noting that "the decision of the city council does not indicate Iceland's relations with Israel." In response to the decision, the European Jewish Congress (EJC) said that it is considering suing the city council of Reykjavik. "This is clearly a discriminatory move and we have already sought advice that it might break international law and treaties,” Dr. Moshe Kantor, President of the EJC, said. “Once again we see one nation, over all others, subjected to a ban and boycott, and we would like to ask those that sought this boycott if it is a mere coincidence that this nation also happens to be the only Jewish nation in the world." Israeli Foreign Ministry spokesman Emmanuel Nahshon also responded to the boycott and said, "A volcano of hatred is erupting in the Reykjavik city council. Without any reason and justification besides pure hatred, calls are being issued to boycott the state of Israel."